Talk about good vibrations. You can't lose with this multi-purpose Alarm Clock and Telephone Alert. Be alerted to the telephone ringing or wake-up by flashing light, extra loud alarm, vibration, or any combination. This easy-to-use system lets you select the volume level, choose between 12 or 24 hour clock display, operate the telephone connection option (line cord included) and guaranteed battery back-up (9V battery, not included). This small unit certainly packs a wallop, and it comes with a fold up/down handle for easy traveling. It's so much more than just an alarm clock! 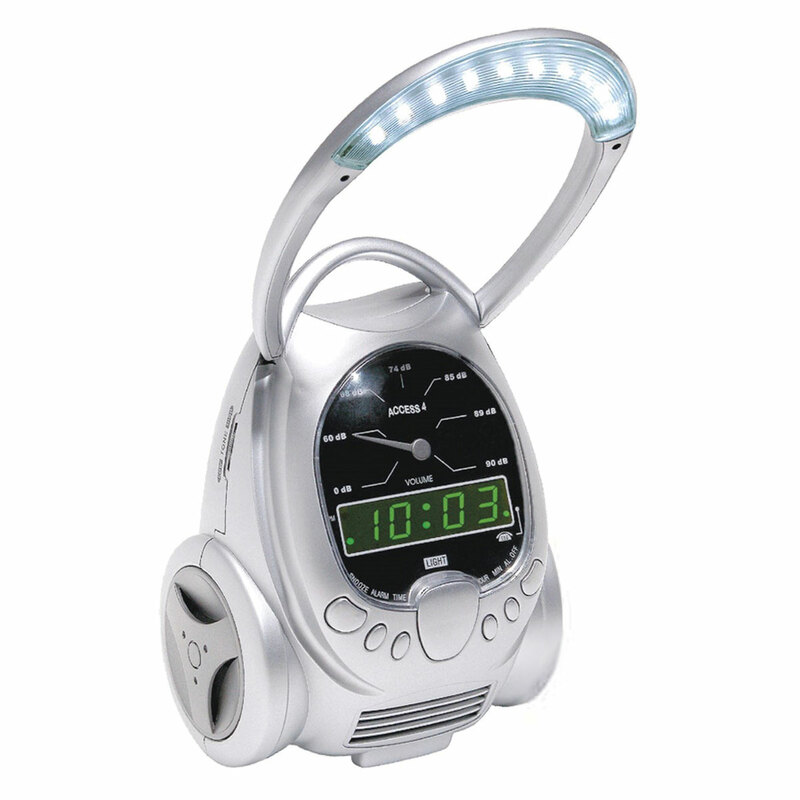 Telephone ring signaler, bright LED reading lamp, flashing LED visual alert, variable volume and tone controls, output jack (12 VDC) for optional Bedshaker (sold separately-- see item 906550), snooze control, power supply connection (9V AC Adapter included). Clock measures approximately 5 W x 8 H x 4 Deep.